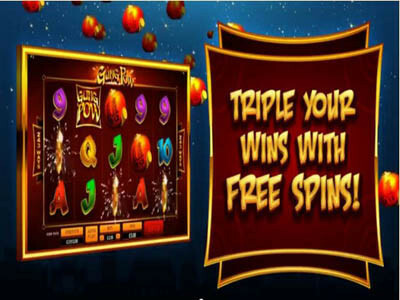 Gung Pow is an explosive free slot machine that is brought to players just in time for the New Years and Christmas, the game invites players to enjoy the New Year with a bang. Players will be able to enjoy the Chinese New Year with all of its fireworks and glamour. So get ready for an experience of a lifetime that is powered by Microgaming, right here for free. Gung Pow has 5 reels and offers players 243 winning chances as it has the 243 ways to win format. The game also comes with a wild icon which can replace other icons on the game’s reels and lines to help players have a higher chance of winning by forming a winning combo. The wild icon cannot replace the scatter symbol which can give out rewarding scatter pays as well as triggering the free spins for the lucky players. More info about these special features and icon at the paytable of the game.